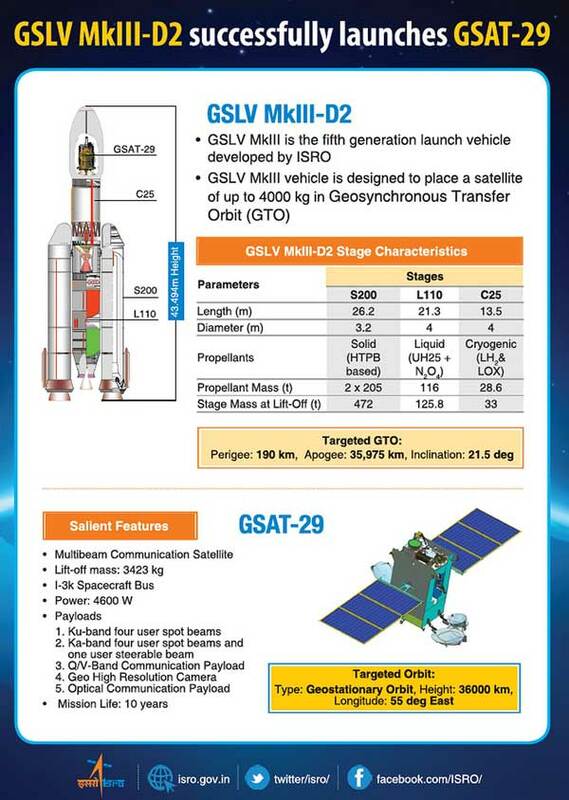 SRIHARIKOTA, India (ISRO PR) — India’s GSAT-29 communication satellite was successfully launched by the second developmental flight of Geosynchronous Satellite Launch Vehicle MarkIII (GSLV MkIII-D2) on Wednesday from the Satish Dhawan Space Centre (SDSC) SHAR, Sriharikota. 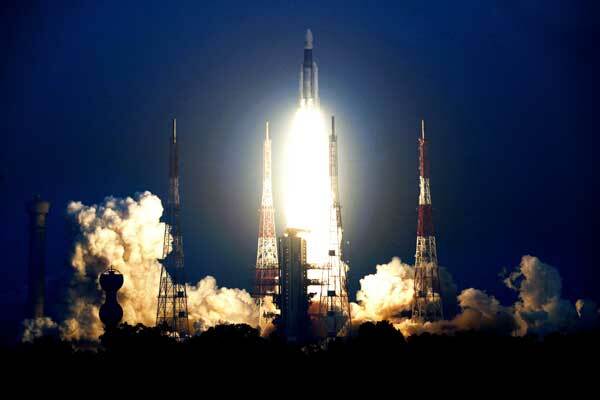 Congratulations ISRO! Full speed ahead on that manned mission. Another successful flight of the Titan III Centaur. Long may it launch from every corner of the world! But it’s missing the second UH/NTO stage. They go from base stage, right to cryogenic upper stage and skip a stage. That’s not a Titan III Centaur the way the Martin Comany, the Strategic Air Command, and The Lord God Jehova intended them to be.